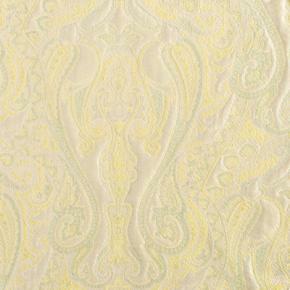 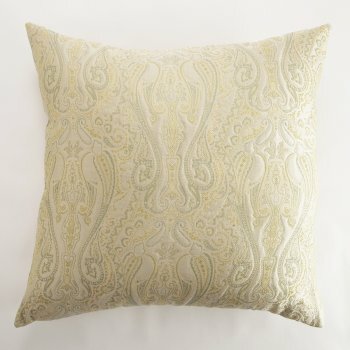 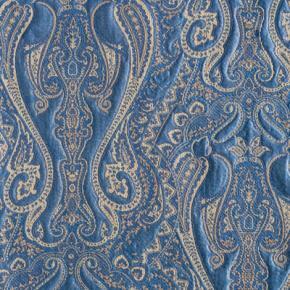 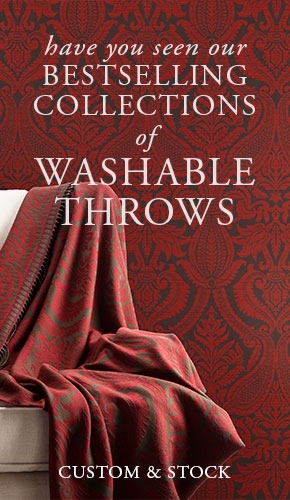 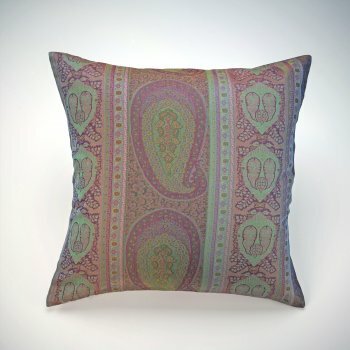 The intricate paisley pattern of this yarn-dyed matelassé gives this fabric such beauty and dimension. 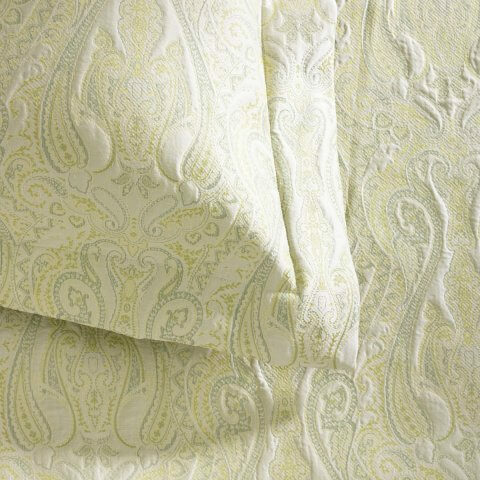 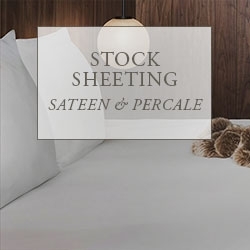 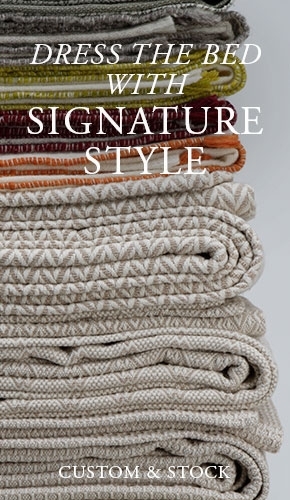 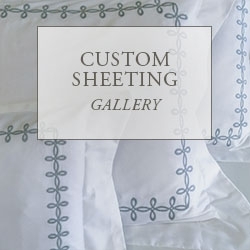 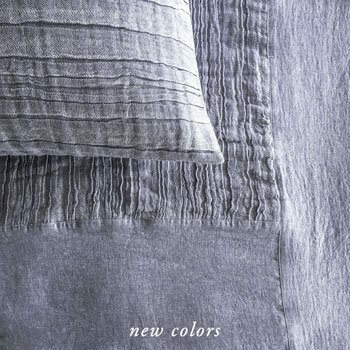 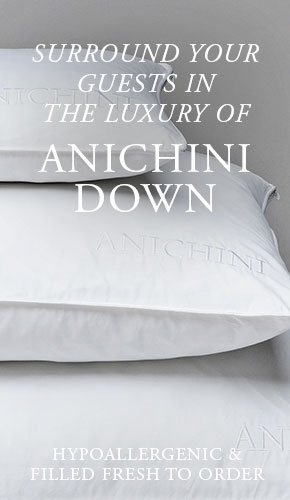 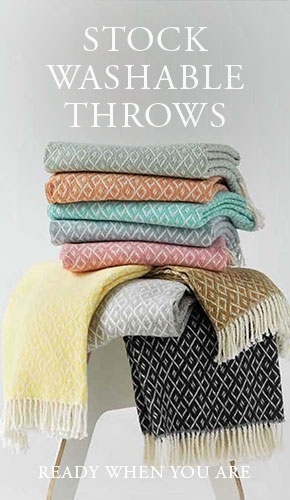 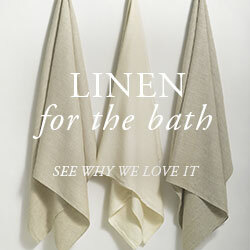 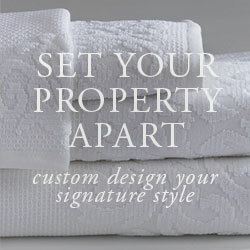 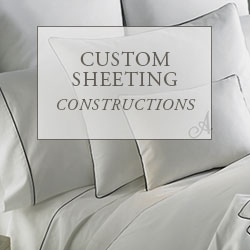 Made in Italy from 100% Egyptian cotton, Tibet coordinates perfectly with our Persia Sheeting Collection. 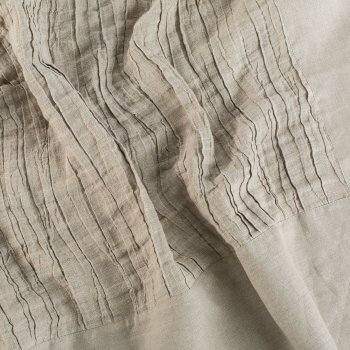 It is completely washable and remarkably durable. 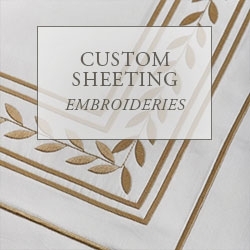 Coverlets are finished with a mitered hem. 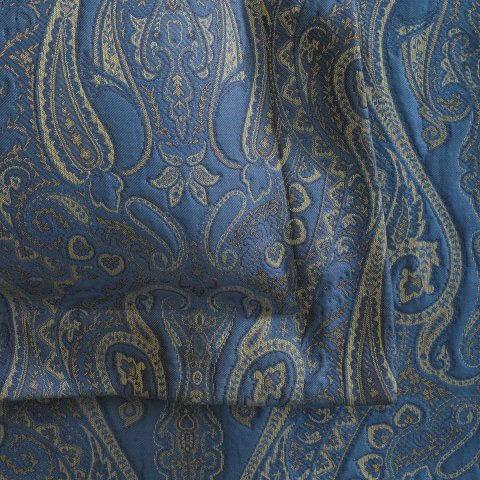 Shams are finished with a flange.